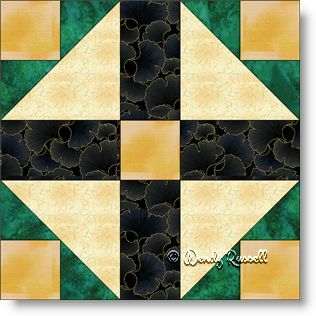 The Grandmother's Choice quilt block is a simple five patch block but is constructed as an uneven nine patch for ease in the sewing. The block features half square triangles in two different sizes. Other than that you need only squares and rectangles to make this block. Easy, peasy. The two sample quilts illustrated are both set with the blocks on point with additional blank blocks to feature your skills at quilting. Enjoy!